The Geneva Cocktail Week is back! After a successful first edition in 2016, the event returns end of September with nearly twice as many venues, brand masterclasses, special themed nights and guest bartenders from Athens, Paris, Bordeaux, Munich, Basel, Lausanne and Annecy! The number of locations has increased since last year. Now 34 bars from downtown Geneva, Eaux-Vives, Carouge, Plainpalais and Pâquis will welcome the festival participants. 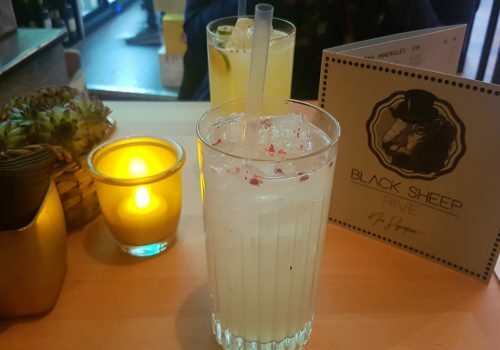 There are some brand new venues, such as the recently opened Black Sheep Rive. 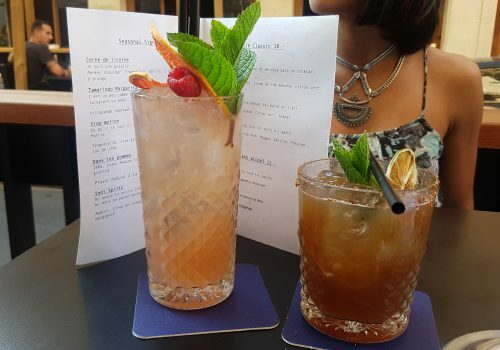 Each will propose two cocktails specifically made for the Cocktail Week, one with and one without alcohol. Curious about these creations? You can find their recipes on the festival’s website. 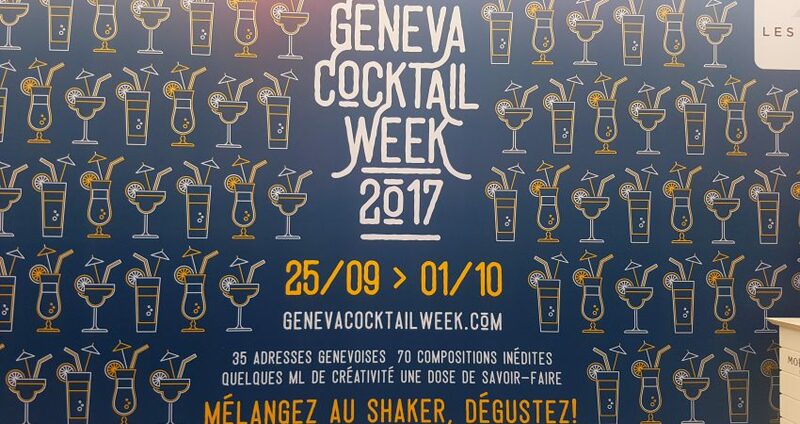 By downloading the free festival pass on Geneva Cocktail Week’s website and showing it to bartenders, guests will get the festival’s special cocktails at a discount price. 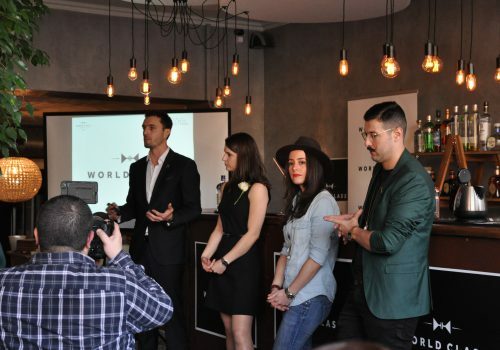 The goal of the Geneva Cocktail Week is to spread cocktail culture and product education. Therefore, in the afternoons, brand ambassadors from majors spirits brands will hold special masterclasses for local bartenders and the general public. Some will be in English, others in French. There will also be two food & cocktails pairing. Reservations must be made to attend the masterclasses and the food pairings. 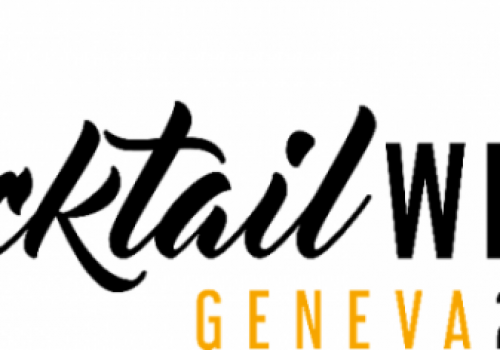 Contact details will soon be available on Geneva Cocktail Week’s website. On the occasion of Geneva Cocktail Week, several venues will offer special menus and host special themed parties. 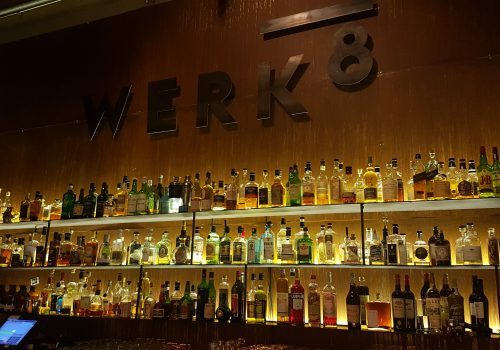 Finally, bartenders from Athens, Paris, Munich, Lausanne, Bordeaux, Basel and Annecy will come and share their liquid creations with the Geneva Cocktail Week’s guests. Geneva Cocktail Week 2017 will be off to an impressive start on Monday. Little Barrel will host a masterclass on Mount Gay rum with Global Brand Development Director Arnaud Longuent. 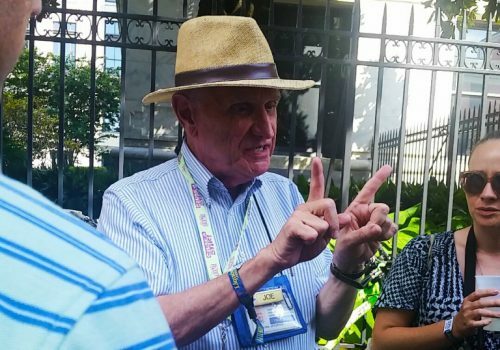 Then, Thanos Prunarus of Athens’ Baba au Rum, regularly ranked among the best bars worldwide, will take commands of Geneva’s n°1 address for rum amateurs. He will be joined by Alexandre Peyraud from Rémy-Cointreau-4th Dimension and Anthony Boschat, bar manager at the Beau-Rivage Palace in Lausanne. 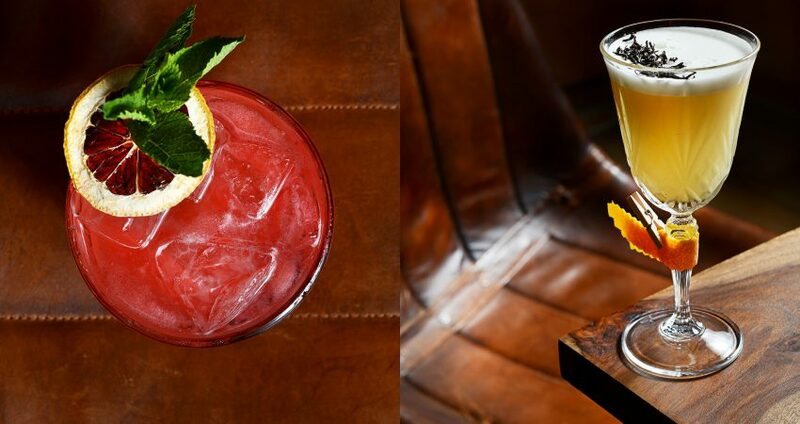 At Manhattan Café, Deborah Stewart from Chivas Regal will lead people through The Art of Blending their own whisky. I attended this masterclass in London last year and highly recommend it. 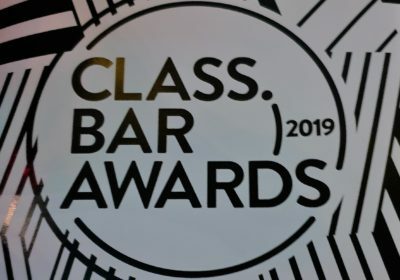 The evening will continue with a guest bartending shift from Roger Grüter, bar manager at the Angel’s Share in Basel and Swiss Chivas Master 2017. Bistrot 23 will welcome Hasan Sivrikaya, brand ambassador for Bacardi-Martini Switzerland, for a Caribbean night with Banks rum and punches. 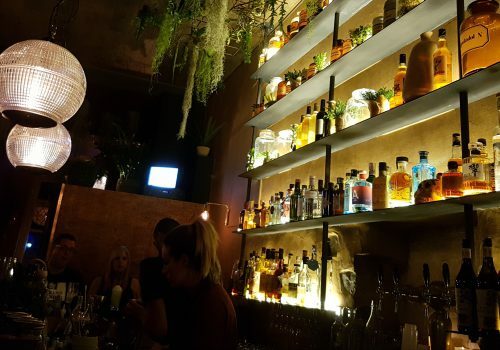 Capocaccia will host a masterclass by Grand Mezcal, a mezcal brand with a strong connexion to Geneva as its Mexican founder lives in the city. The evening’s cocktail menu will consist of twists on classic cocktails. 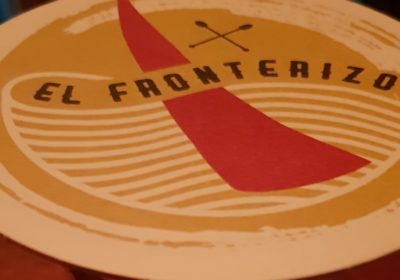 On Tuesday, several bars will hold special events. Le Verre à Monique will host a Jägermeister masterclass with André Pintz, head bartender à the imperii bar in Leipzig and Jägermeister brand ambassador. 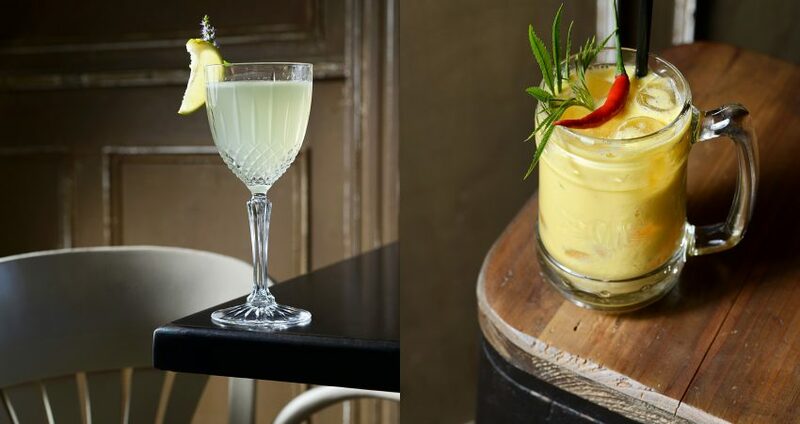 Bistrot 23 will fly the colours of The Botanist gin and Bruichladdich whiskies with a masterclass with brand ambassador Joanne Brown and a guest bartending shift by Alexandre Peyraud. Campari will offer a food pairing around pizza and its apéritifs and liqueurs (Campari, Cynar, Aperol, Averna…) with the help of pizzaiolo world champion 2017 Franco Pepe. At Mr Barber, Vincent Dumesnil, brand ambassador for the Diageo brands, will host a masterclass and do a guest bartending shift around Tanqueray gins and Jinzu. Bartenders will rejoice with an exclusive industry masterclass with Bombay Sapphire master herbalist, Ivano Tonutti, and Northern Europe brand ambassador Sean Ware at Sheera. The evening will finish with a take over of Nico & Co by Robert Mishko, brand ambassador for Pernod-Ricard’s brands, with an “apéritif” special menu ready. Meanwhile, Bottle Brothers (Petit Bottle and Grand Bottle), entirely redecorated for the Cocktail Week, will invite guests aboard their week-long Orient Express ride from London to Meanwhile, Bottle Brothers (Petit Bottle and Grand Bottle) will invite guests aboard their week-long Orient Express ride through one city, one spirit, one cocktail a day. 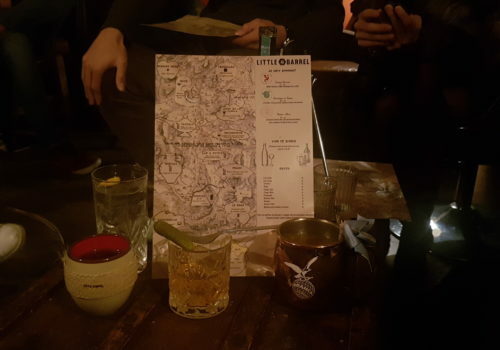 Today, hop on to ride from London to Constantinople, one city, one spirit, one cocktail a day. On Monday, the train will take you from London to Paris. 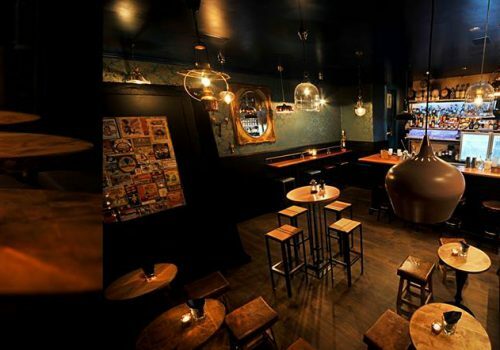 Finally, Lilian Sausset, bartender at Papa Doble in Montpellier, will introduce Little Barrel’s guests to the cocktails of his famous bar. Wednesday will be Tequila day at Mr Barber and Athénée 4, which will host a tasting of different brands under the same roof. There will be two masterclasses on Wednesday. One at Little Barrel about Grand Marnier, followed by a special cocktail menu around the orange liqueur in the evening; one at Manhattan Café on Rémy Martin cognac and ice with Alexandre Peyraud. The latter will be followed by a guest bartending gig by Gaël Geffroy from Le Point Rouge in Bordeaux. Christophe Sichanh from Le Calbar in Paris will run the show in his boxers at Mr Barber. In his boxers, yes. See, Calbar is the portmanteau, coined from the combination of caleçon, the French word for boxers, and bar. He will be joined by Hasan Sivrikaya for a French Night with Grey Goose vodka cocktails. 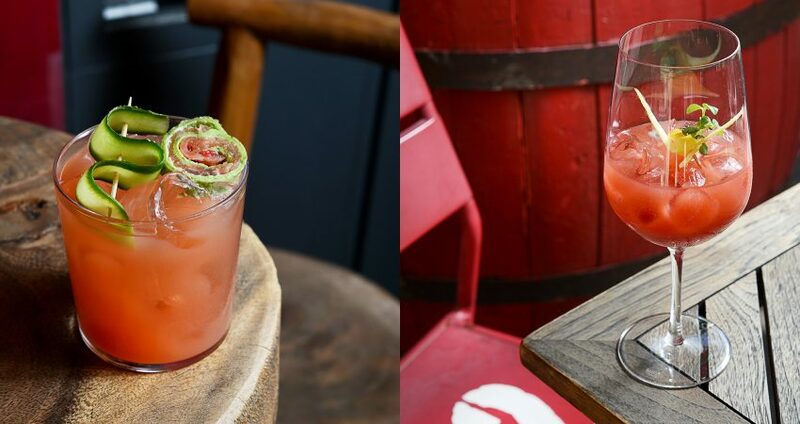 Finally, Qu’importe will offer variations of Spritz, while Federico Riezzo from Peroni-Nastro Azzuro will prepare beer cocktails for Manhattan Café’s guests. The Bottle Brothers’s train will continue its journey from Paris to Munich. Thursday will be masterclass heavy! Laura Riascos de Castro, founder of Colombian rum La Hechicera, will hold a masterclass on her product at the original Blacksheep. Andreas Künster, bartender, instructor and spirits consultant from Shake Kings in Cologne, will host a masterclass about ice harvesting in the 19th century at Mr Barber. He will then take the reigns of the bar with a Havana Club menu for a hip hop party. Little Barrel will welcome Martin Dupont for a masterclass about FAIR’s fair trade certified spirits and liqueurs. Alexandre Girard from La Queue du Coq in Annecy will be working behind the bar in the evening. It will be his second shift at Little Barrel after a successful first participation at the Geneva Cocktail Week 2016. Federico Riezzo will mix beer cocktails again but, this time, at Nico & Co. Vincent Dumesnil will introduce guests of the new Black Sheep Rive to several Diageo products in an original food pairing with edible insects. Finally, the Bottle Brothers Orient Express train will ride on from Munich to Budapest with a stop over in Vienna. Halles de l’Ile will host a masterclass about Jägermeister with Stéphane Detruche, brand ambassador for Switzerland. Chat Noir will have special cocktails made with Stolichnaya vodka. Rudolph Sorel, Dettling & Marmot Regional Sales Supervisor for the French-speaking part of Switzerland, will present a cocktail menu around Monkey Shoulder Whiskey at Mr Barber, which will be turned into a jungle for a Swagg Monkey Night. Federico Riezzo will continue his demonstration of beer cocktails at Little Barrel early in the evening, before moving to Mambo Club. Black Sheep Rive will hold a special party around German gin Monkey 47 with Global Ambassadors Axel Klubescheidt & Domenico Termine, G&Ts, cocktails, German food and…a ping pong tournament! The Bottle Brothers Orient Express will take its passengers from Budapest to Belgrade. Bistrot 23 will welcome the last masterclass and food pairing of the Geneva Cocktail Week 2017 edition. 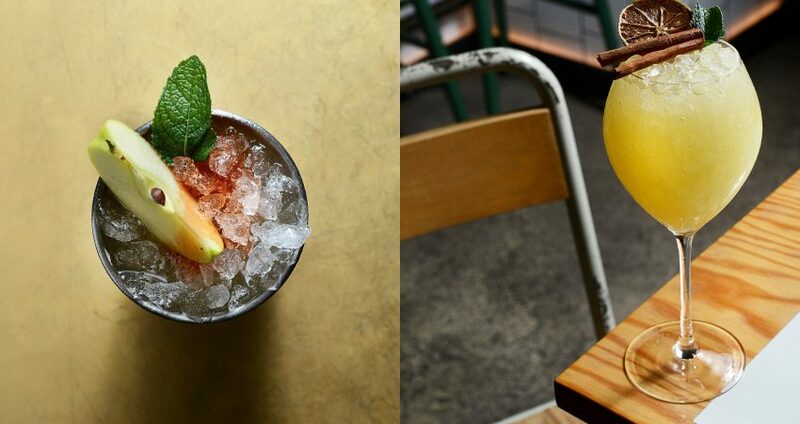 Both will be hosted by Vincent Dumesnil and will turn around Zacapa rum. Qu’importe will offer a special Stolichnaya menu. The Orient Express will reach its final destination, Constantinople. Geneva Cocktail Week 2017 will wrap up with a final party at Mambo Club. Tastings, education, creation and celebration, that’s quite a menu! All that’s left for me to say now is: see you at the Geneva Cocktail Week!